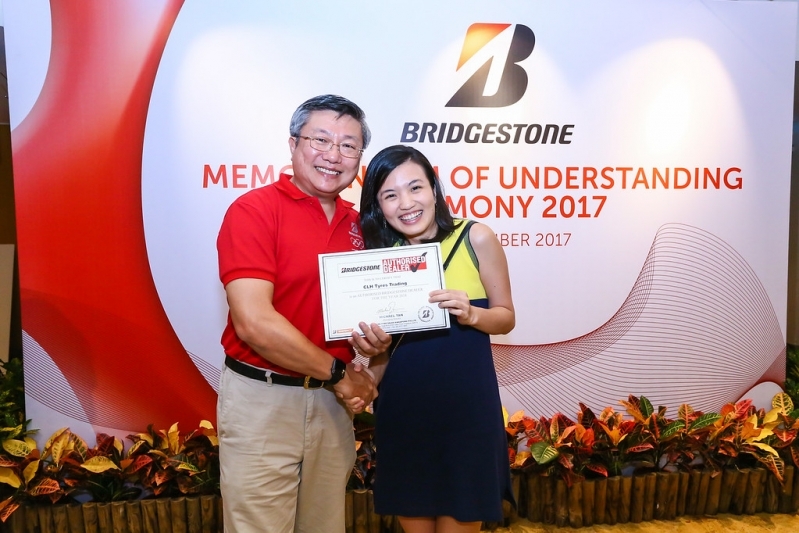 At a special awards dinner held at the Shangri-La Rasa Sentosa, a total of 28 tyre dealers were recognised by Brigestone Tyre Sales Singapore Pte Ltd. 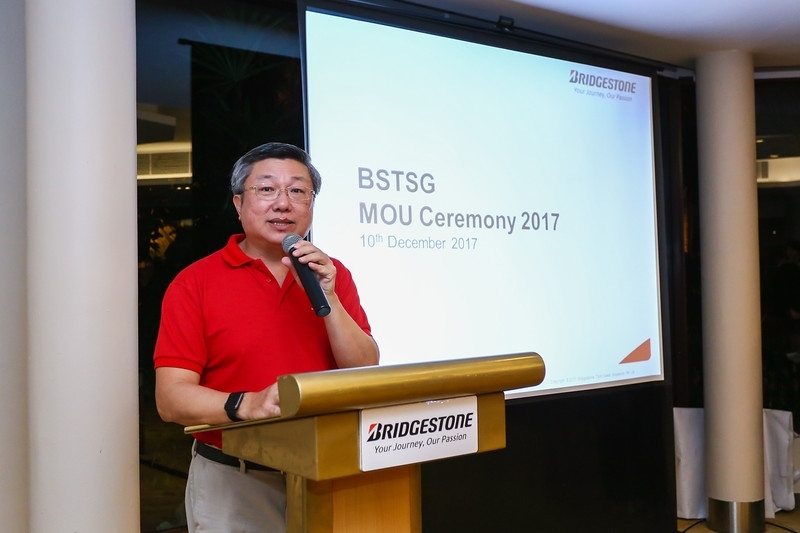 They were recognised for helping the Japanese tyre brand expand its overall sales figure for 2017, for both passenger and commercial vehicle tyres. 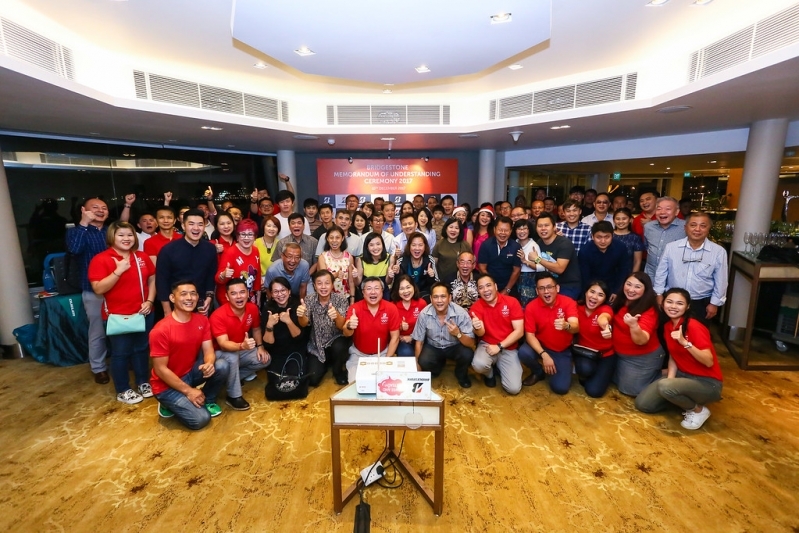 The tyre dealers recognised are: B-Select Beng Heng Tyres Batteries, B-Select CLH Tyres Trading, B-Select South East Tyre Co, B-Select Aik Koon Tyre & Battery Co, C & Y Auto, Chen Jin Trading, Ghee Hin Leong Tyre Co, H Tyre, Hock Cheong Automec, Hurry Tyre & Battery (1998), L S Tyres & Automotive, Lee Beng Tyre & Battery Co, Sum Soon Tyres & Battery Service, Tong Hin & Co, TS Auto Accessories & Trading, Yap Brothers Motorsports, Khai Wah Battery & Tyre, CH Neo Trading, Eng Huat Industries, Freewe Pte Ltd, Gateway-Riken Tires, Hwa Kong Trading Co, Sin Chuan Hin & Co, Sin Kian Hin & Co, Sin Kian Hin Tyre, Tee Guan Tyre & Battery Co, Teh Guan Trading and Tom’s Tyre. 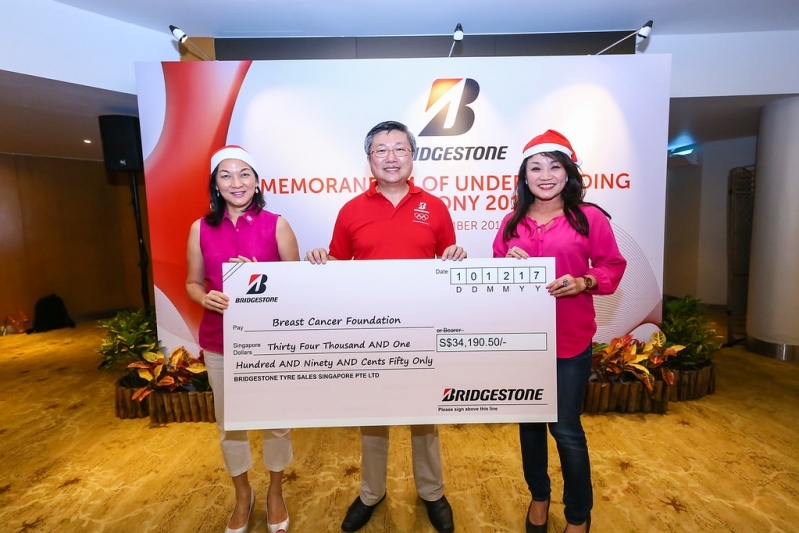 On the same evening, Bridgestone Tyre Sales Singapore Pte Ltd also handed a cheque to the Breast Cancer Foundation. 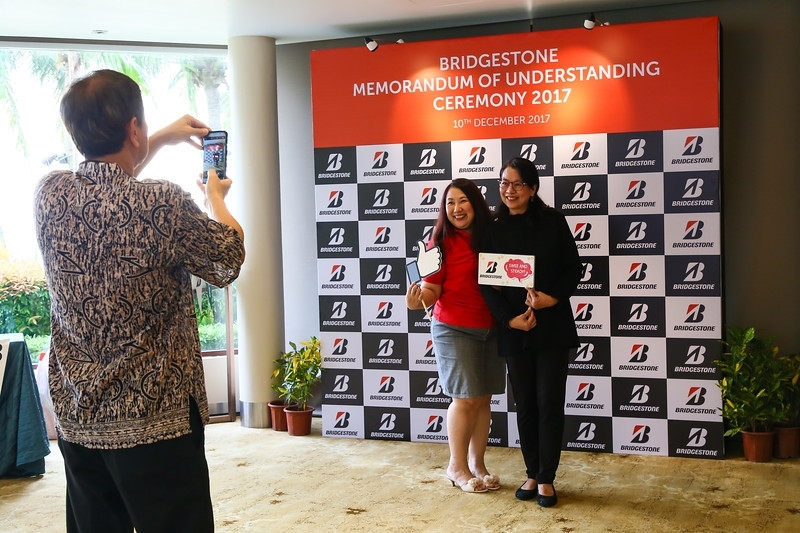 Through a unique awareness campaign, a total of S$34,190.50 was raised for the foundation.